Many followers of the Sammy Yatim/James Forcillo case were surprised by the jury's verdict, announced today. Toronto police Const. Forcillo, who fatally shot Yatim while on the job in 2013, was found guilty of attempted murder, but not guilty of second-degree murder. CBC News readers were confused about how Forcillo could be found guilty only of attempted murder when the man he shot is dead. It all comes down to the fact that Forcillo fired two separate rounds of shots, says Toronto-based criminal defence lawyer Joseph Neuberger. Medical evidence shows that Yatim was critically injured by the first round of shots and would have died whether or not Forcillo continued to shoot him. 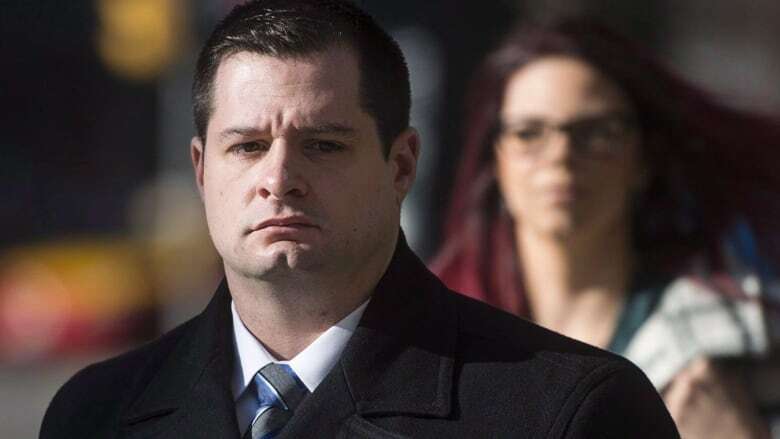 "What the jury must have found was that during the first volley of shots Forcillo was acting reasonably, in fear for his safety or the safety of others, and thus was not guilty of second-degree murder or manslaughter," Neuberger says. During the second round of shots, however, "Forcillo knew that Yatim was on the ground and incapacitated, and therefore the second volley of shots was meant to kill Yatim." That second round of shots did not kill Yatim, because he was already fatally wounded. Therefore, although Forcillo may have had murderous intent, he was not charged with murder, Neuberger said. "There has never been a case of similar circumstances" where a verdict like this came down, says Neuberger. "I was very confused by this verdict, because this whole interaction between Forcillo and Yatim is approximately 50 seconds, and the second volley of shots comes within seconds of the first volley of shots," he went on. He doesn't see how it's possible that Forcillo developed murderous intent in such a short amount of time. Forcillo's defence team is similarly confused. Peter Brauti, Forcillo's lawyer, immediately filed a "stay of proceedings," making the argument there has been an "abuse of process" in the conviction. There's a huge range of sentences that the judge could hand down for attempted murder, Neuberger said. Forcillo could get off with no jail time, or he could receive up to life in prison.